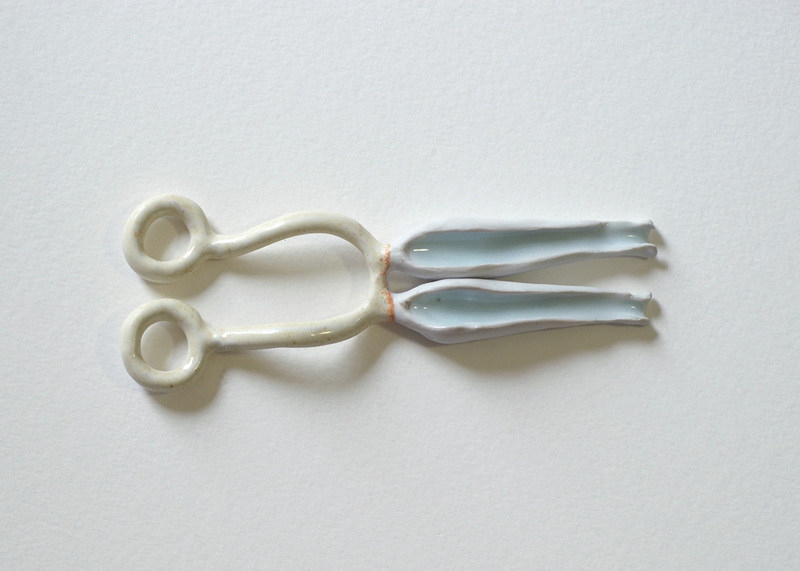 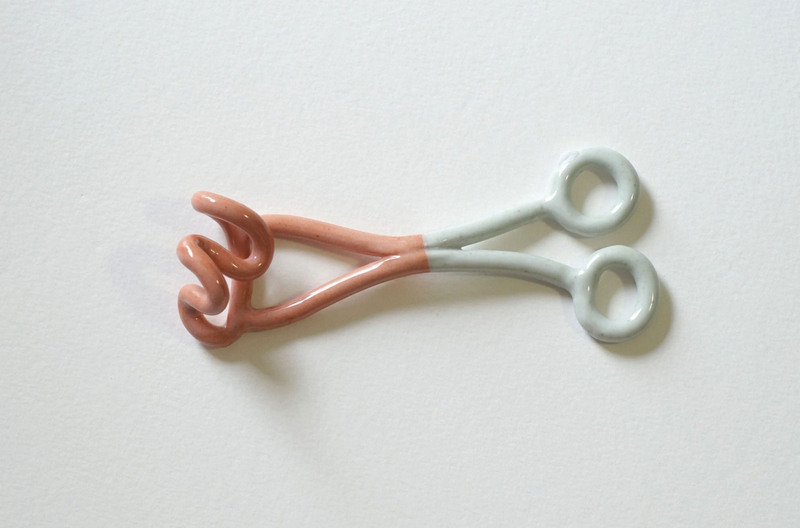 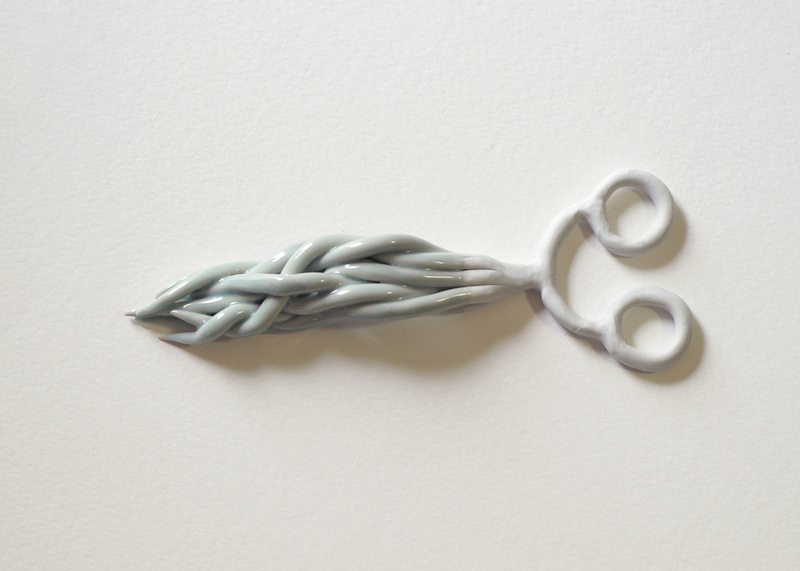 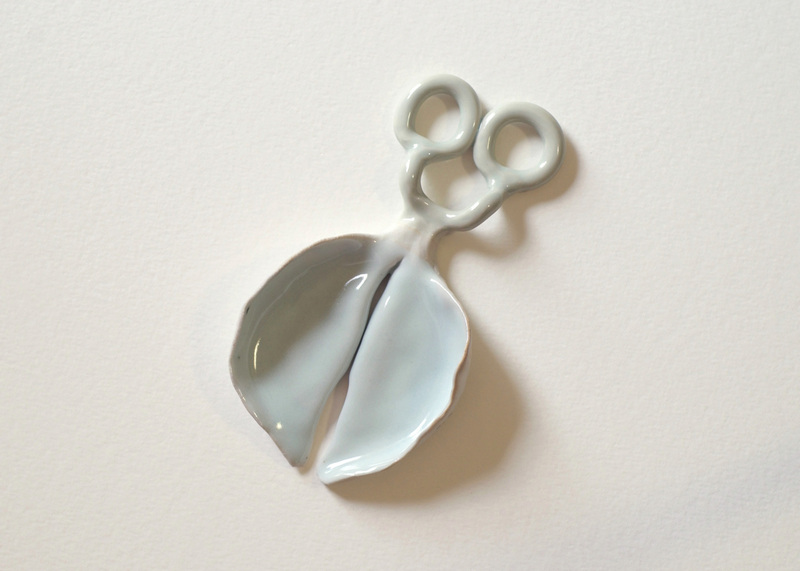 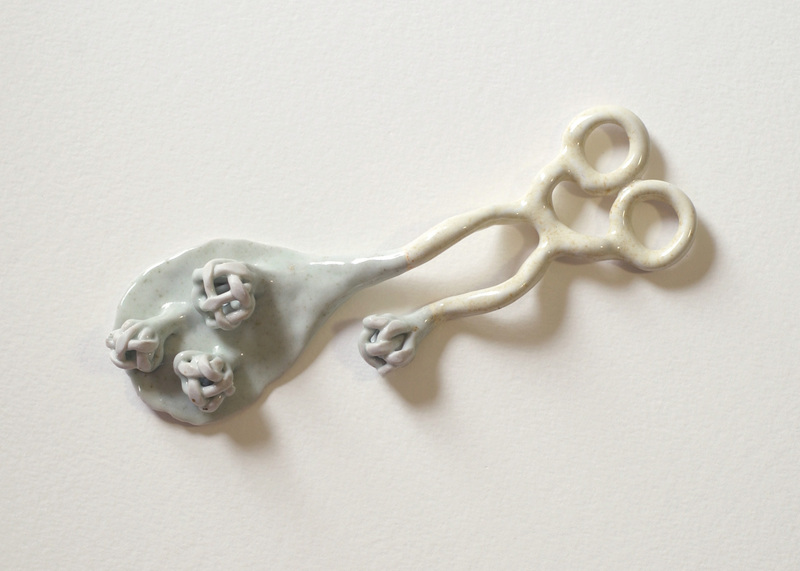 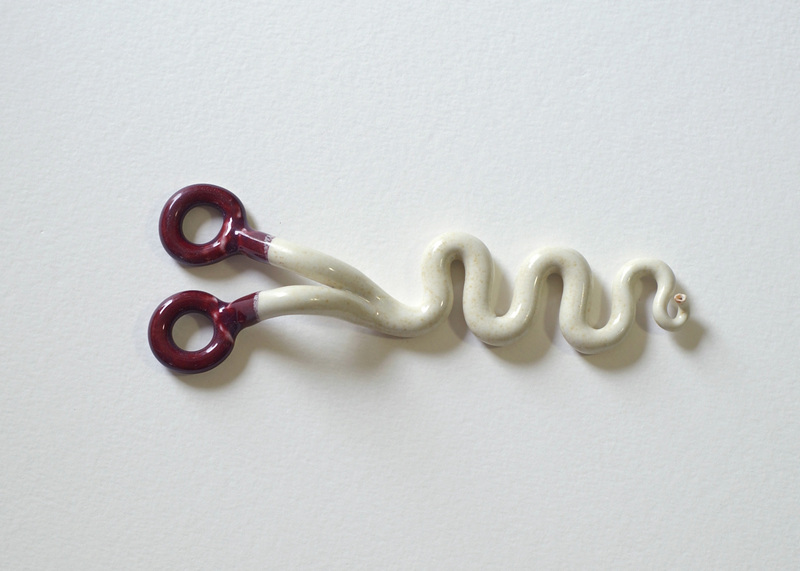 This is an ongoing series of porcelain scissors that started in 2002. 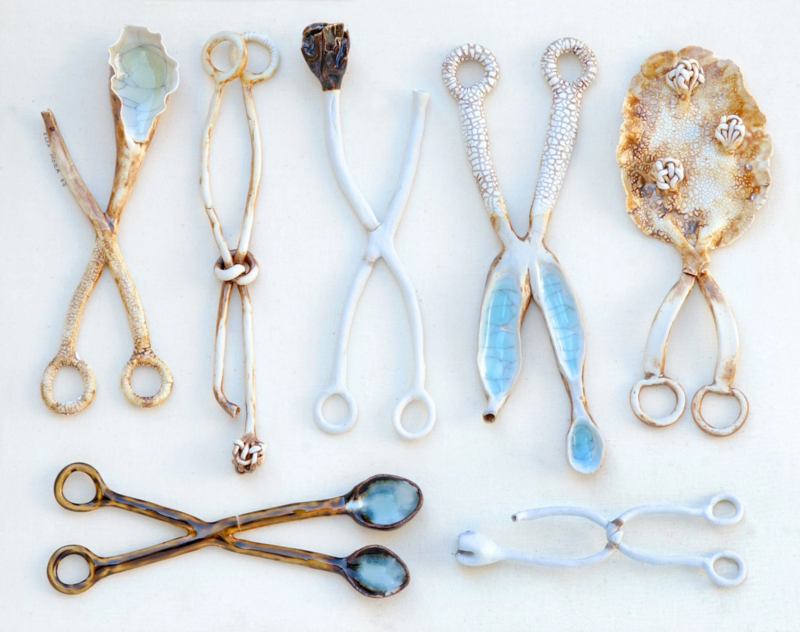 When I began creating these pieces, I was just moving to the USA from Cuba. 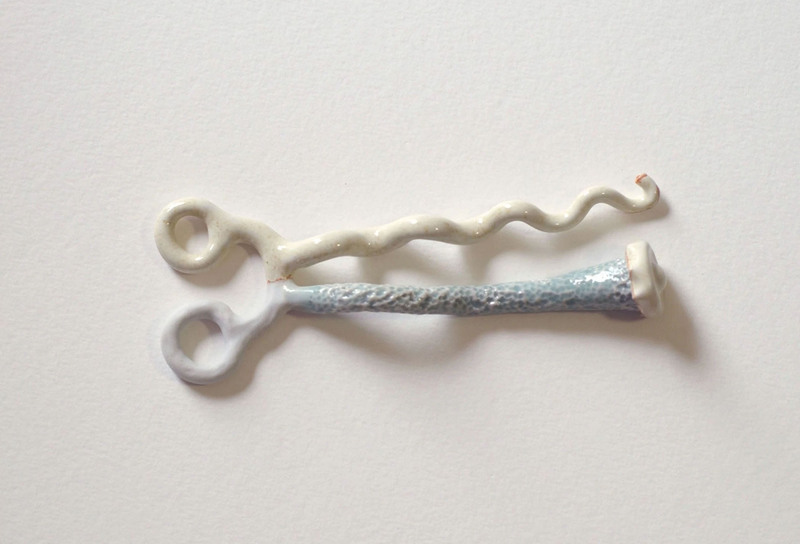 It was a period of intense change, cultural rupture, and growth. 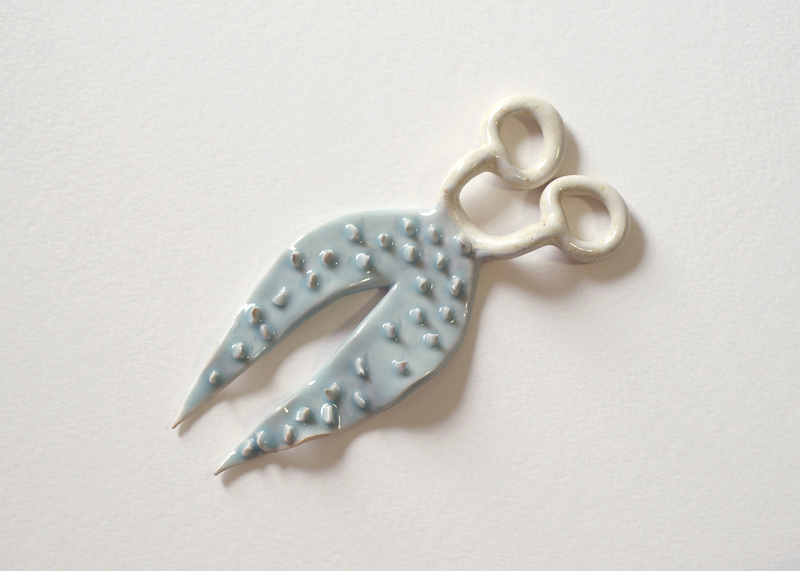 Scissors as a symbol of duality was the perfect subject for me to explore at the time.